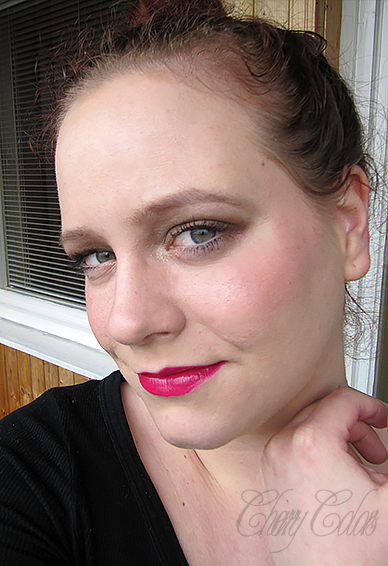 Bold eyes, bold lips - Cherry Colors - Cosmetics Heaven! I thought I am not able to pull the bold eyes & bold lips thing. I thought that I have waaaay too small eyes and that well it would look odd, or ugly. 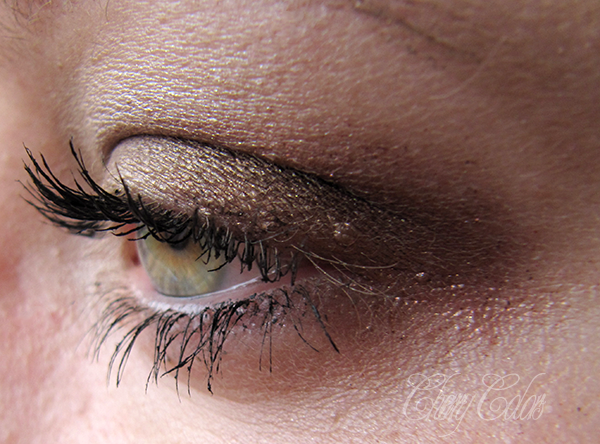 The truth is, you just have to chose your lip and eye color carefully. I didn't and got some luck on it ;). 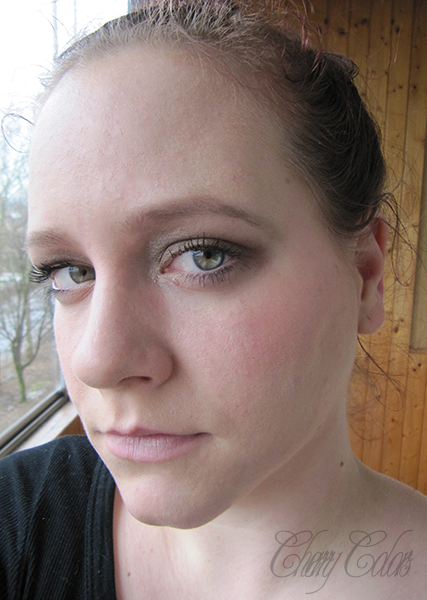 I will show you first the eye make up, keep in mind that the camera kills some color (thus boldness of it). 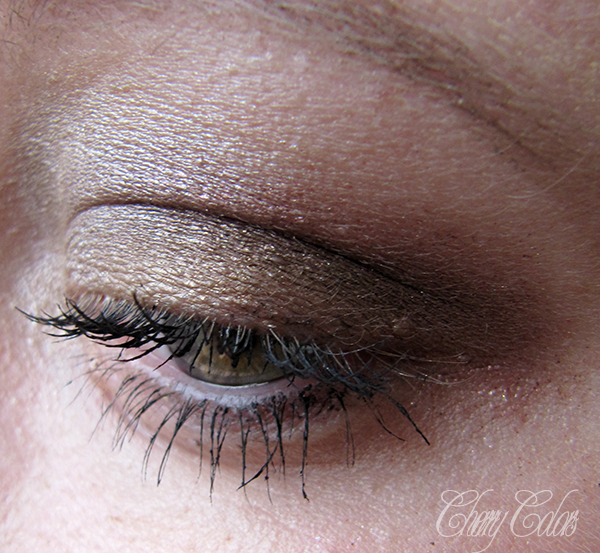 It's a neutral bold eye. 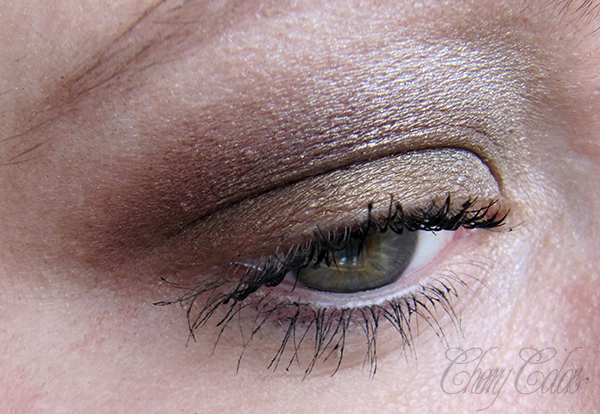 I used the Sleek Au-Natural palette, two of the dark colors (Conker, Moss and a tiny bit of Taupe on the inner part). 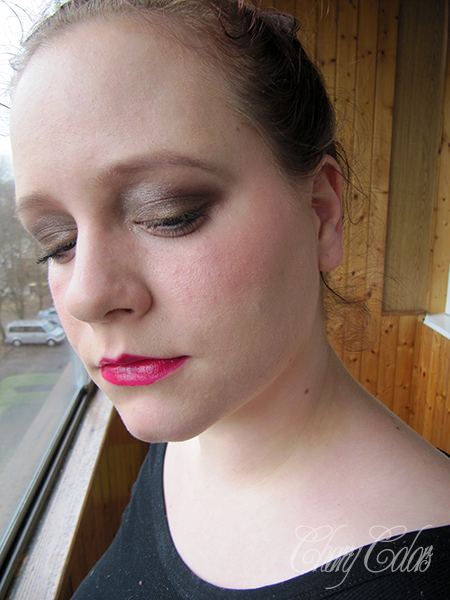 And the full face with just the bold eye. Oh how washed out I look! And now the bold lip, boy I love this color. I knew it would work on me the first time I tried it (on my fingertips!). Tell me, did you rock the bold lip & eye combo?